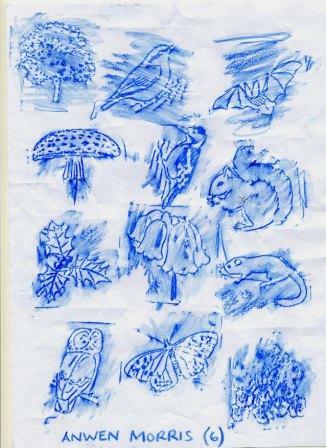 Congratulations to Anewn Morris (age 6) who was the first person to try out the new series of animal & plant brass-rubbings that Cardiff Council Parks Dept have just installed around the lower woodland section of the Park. Well done Anwen ! 3 Responses to Congratulations Anwen ! I wholeheartedly agree – understated and educational they are a wonderful addition to the park. My granddaughter thoroughly enjoyed making use of them during her recent visit. Thank you. Why ask for comments if you don’t publish them! Apologies. I do this voluntarily and have been dealing with a death in the family.